A weekly 5km runday race at Shevchenko Park in Odessa. Join the Facebook group for this location. 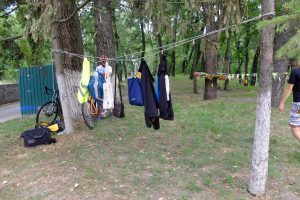 We start and run along the avenue to the monument of Shevchenko, without reaching it turns to the central alley of the park, we run along the Alexandria column, past the Chornomorets stadium. The whole way is the descent, we run to the ‘Walk of Fame’ and then to the beach Langeron. Then turn to the left towards Suvorov Avenue, we run and enjoy the view of the sea, the port and look at our beautiful stadium. Near the restaurant “Red Lobster” and at the end of the Suvorov alley turn left and return to the starting point. Repeat again the lap and 5 km completed! Participation is free! But please, sign up before the first race. You only need to register once, but don’t forget to print and bring your personal QR code. If you run without it, we cannot record your time. We all run purely for pleasure. Get involved and just run as fast as you want! Be sure to warm-up before the race. During the race, be careful and cautious on uneven surfaces: grass, gravel and asphalt. Pay attention to cyclists and other runners, children, dogs, pets, cars, work on landscaping the area, poles and other possible obstacles on the track. Please, consider volunteering periodically. Runday races exist only thanks to your help. Be careful along roads and parking – some machines can move very quickly. Avoid the cars and be extremely careful if you children. If you arrive by car, please drive carefully, even if late! If you see a runner who is ill, please stop and help him/her or take care to get professional help as quickly as possible. If you only watch the race and not take part in it, then please not disturb the volunteers. If you bring dogs or children please make sure they are supervised. You can take part in the race with your dog but please keep it on a short leash and under control throughout the race. We are also happy to see the race participants on wheelchairs. Just be very careful to runners around you. Our race is free, which means that all participants take full responsibility for themselves. 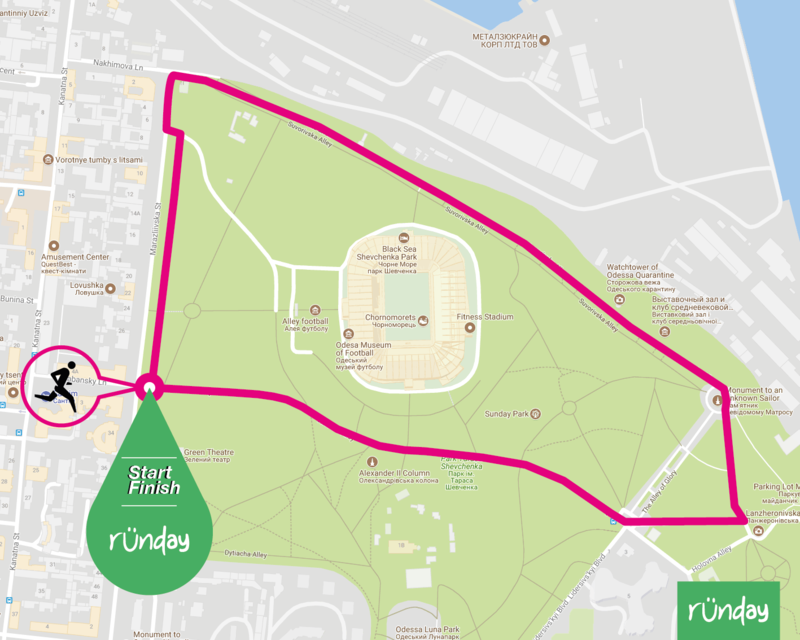 We hope these tips will help to ensure the safety of each participant at Odessa Shevchenko Park runday and we hope you enjoy our race!